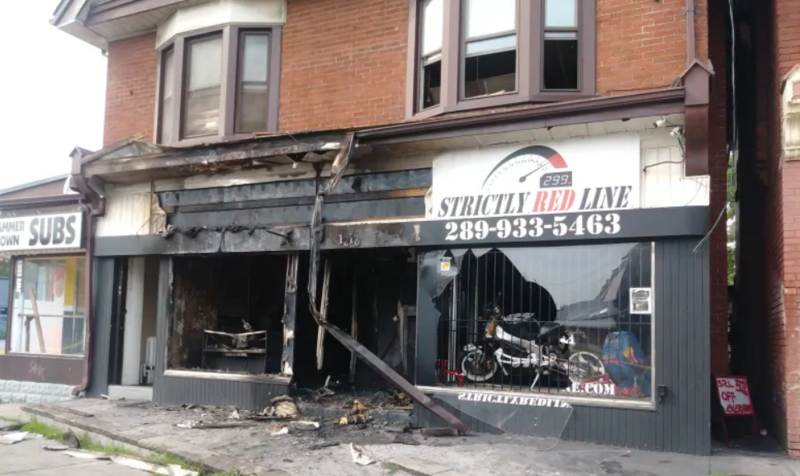 All that remains of one cannabis dispensary is a charred shell in the Canadian city of Hamilton after an early morning fire tore through its display racks and products. Firefighters were able to contain the blaze when they arrived on the scene, and the neighboring businesses on either side, a sandwich shop and a bike shop, were relatively undamaged. The Trymz dispensary, however, was a total loss; not even the sign remains. Authorities remain unclear on what started the fire, but deemed it “suspicious,” indicating that they haven’t ruled out arson. Whether the fire was an intentional act or not, the damage is done and the dispensary owners are left to decide whether to rebuild, and where to do it if they do. Unless the cannabis dispensary had adequate property protection insurance, reopening can be a costly endeavor. By the time firefighters arrived at 5 a.m., the fire was already fully involved and more resources were called in to battle the blaze. A cause has not been identified, but nearby residents reported hearing a loud bang sound followed by the sound of broken glass before the fire was discovered. One person in the bike shop suffered from smoke inhalation, but luckily the apartments above the shops were relatively undamaged. The fire investigator estimated that it would cost $200,000 to repair and clean up the former dispensary site. Fortunately, the fire did not spread to the neighboring properties. There has been no official statement from Trymz on the fire, but it seems doubtful that they were heavily invested in that location. Trymz reopened in a new location in Cambridge about a month after the incident, moving from a city with a population of 500,000 to a nearby city with just under 130,000 people. That is the kind of reopening that a good dispensary insurance policy can provide. Property protection plans can cover the cost of damaged inventory, furniture, and equipment — all elements of a business that require significant investment that would mean the end of the business if they could not be replaced. Whether a cannabis dispensary owns or rents their space, the right policy will be tailored to the needs of the client. Another kind of insurance that can help cannabis dispensaries get back on their feet is business interruption insurance. 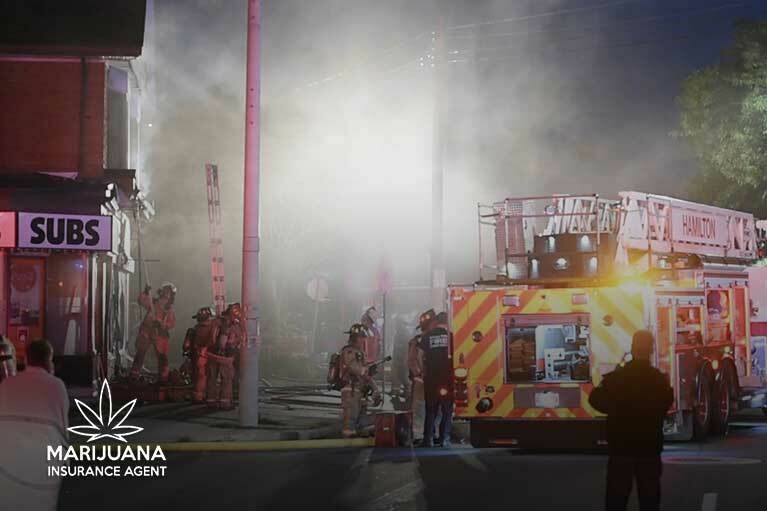 Whether it’s a fire, vandalism, or a natural disaster, a dispensary may need to stay closed for weeks or months to recover. The mounting costs of maintaining a business that can’t make money would make many companies close their doors without business interruption insurance to cover the loss of income. Authorities remain unclear about what started the fire and whether it was intentional. For the dispensary owners, there is little difference. The end result is the same — their business was destroyed. But like a phoenix, a new dispensary in Cambridge was born from the ashes of Trymz’s Hamilton location. The right kind of insurance can make this rebirth possible without completely emptying the wallets of entrepreneurs. Disaster strikes unpredictably, and businesses that want to be successful for many years to come need a plan in place and the right resources to help them recover.